The Netherlands has given much to world football: namely the artistry of its play and iconic stars too numerous to mention. An added bonus has been the fanaticism of the nation’s orange-clad legion of supporters. This was in full effect last summer, when the women’s team became European champions. The team did so with a newly introduced crest — the traditional KNVB lion replaced by a fierce lioness — and this triumphant new national symbol remains in place for them in 2018. While the men will be conspicuously absent from FIFA World Cup Russia 2018 this summer, the Oranje remain proud of their unique place in football history and are determined to rise again. 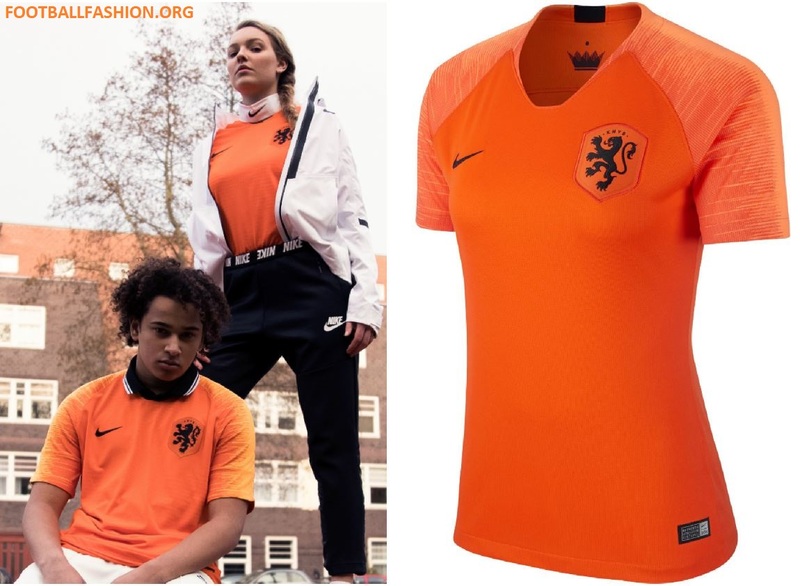 The KNVB’s 2018/19 collection captures this ambition with its theme of Lethal Reignition. 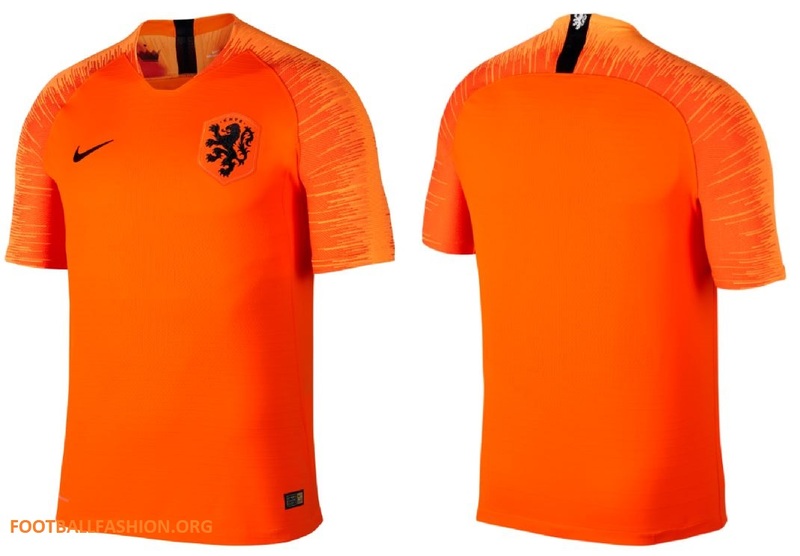 The Netherlands 18/19 home shirt is a deep orange; a brighter citrus shade and flashes of white make up a speed blur on the sleeves. 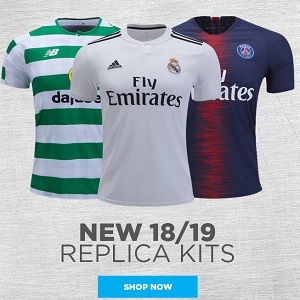 A polarized blue Holland 2018/19 away jersey pays homage to the team’s classic 1988 change colors, while a deep royal blue geometric pattern celebrates “Total Football” — the pioneering style of play that earned them reverential status in the ’70s. 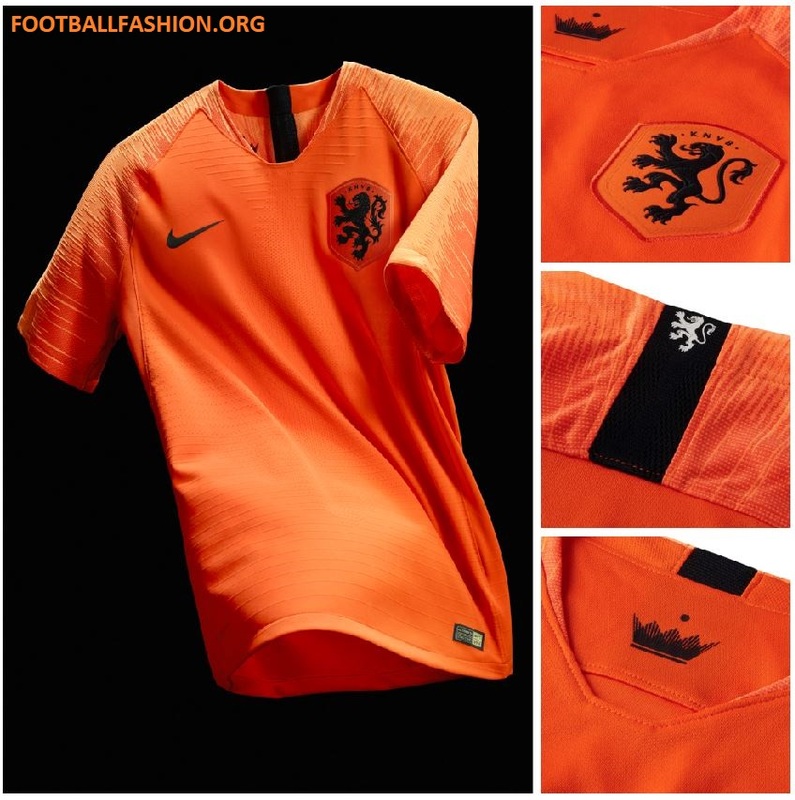 The Netherlands’ 2018 home kit will be available on April 26 and the away from May 17 at online soccer stores World Soccer Shop, UK Soccer Shop, Lovell Soccer, Pro:Direct Soccer, Subside Sports and Kitbag.